Welcome all, to the February 2016 edition of Sinister Reads. Check out the Sinister Short, The Leucrotta, by Kyla Lee Ward and get another chance to check our AHWA anthologies and magazine. We’ve have some gremlins in the machine in the last few months which has made it difficult to bring you ALL of the AHWA greatness; however, it seems they have been eradicated so make sure you stick around – next month should be HUGE! Follow this and start receiving monthly updates of publications. The AHWA Flash Fiction & Short Story Competition is open to submissions from January 1 until May 31, 2016. We want your best horror story, your very best. This is Australia’s leading unpublished horror fiction competition and our winning entries are always imaginative, engaging, well-written, and bloody scary. We need tales that frighten, yarns that unsettle us in our comfortable homes. All themes in horror will be accepted, from the supernatural classics (zombies, vampires, ghosts), to psychological roller-coaster rides, to the highly original. No previously published entries will be accepted – all tales must be an original work by the author. Stories with 1001 to 8000 words. 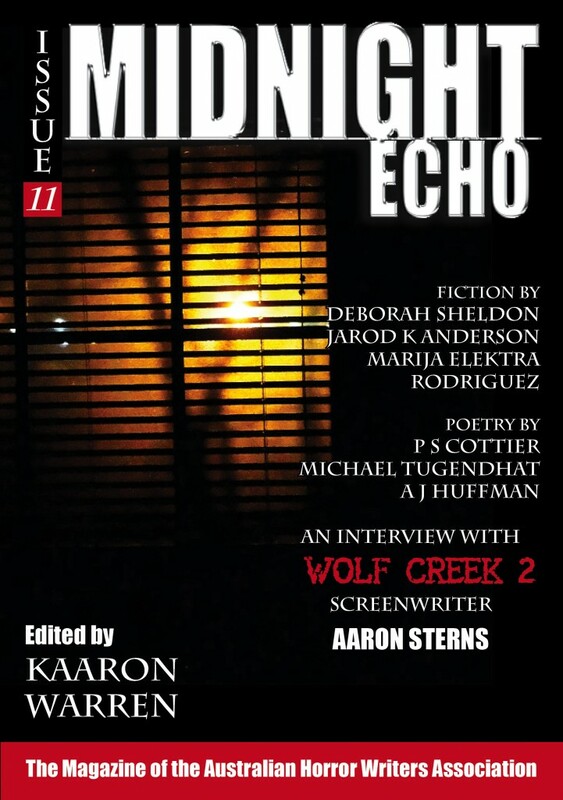 The winning author will receive paid publication in Midnight Echo, the magazine of the AHWA, and an engraved plaque. AHWA members have free entry. General public: $5 for flash fiction, $10 for short story entries. Writers may submit to one or both categories, but entry is limited to one story per author per category. No simultaneous submissions. Any questions, please don’t hesitate to contact us. Include author name, membership number (for members entries), contact details, and story word length in the body of the email. DO NOT include your name or any identifying details in the story file. The competition uses blind judging. Please edit your manuscripts thoroughly before sending them through to us. Spelling errors and poor grammar isn’t the kind of horror we’re after! We are pleased to announce our panel of judges for 2016. Competition closes 31st May 2016. Winners will be announced in late June or early July. Contact ctrost@hotmail.com if you have any further questions. Available in hardcopy HERE (CreateSpace) and HERE (Amazon), and Kindle HERE. RRP: $AUD 2.99 – Comes in PDF, EPUB, and MOBI formats. You’ll receive all three when you buy through the website! Published in Gods, Memes and Monsters: a 21st Century Bestiary (ed. Heather J. Woods, Stone) by Skin Press, 2015. Don’t forget about out short story critique group and the writer’s workshop that is open to all members of the AHWA. That’s right – novels, novellas, short stories – all are invited to participate. Membership to both groups is open to members of the AHWA by invitation only. If you are interested in taking part in either of these two groups, you need to join the AHWA today, and check out all the other exciting opportunities, you as an author, are currently missing out on. There are tips on writing, how to get published, competitions, group forums and so much more. Check out the Australian Horror Writer’s Association web-site today and become a member. Horror Network Australia seeks to keep you, the horror fan, informed about all that is going in Australia within the horror genre. Events, conventions, attractions, publishers, businesses, author tours and signings, film releases – you name it, we list it. Film, magazine, and book releases will be posted in the main timeline, as will announcements about any other horror-based news item. Businesses and other ongoing concerns will be under the static pages, as will horror events throughout Australia. Keep an eye on our Facebook page and blog posts for all the latest news. Follow the Blog HERE and don’t forget to like our Facebook page HERE. 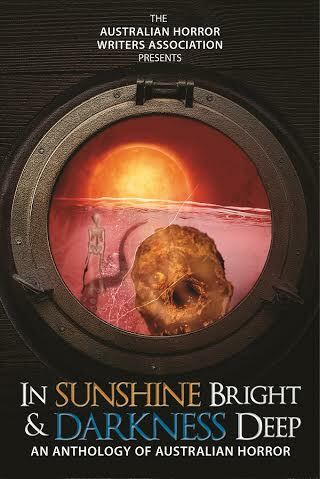 This entry was posted on March 6, 2016 at 12:30 pm and is filed under Authors, Bloodthirsty Blogs, Book Launches, Books, Competition, Competitions, Critique Group Update, Fear, General Information, Horror, New Releases, Short stories, Sinister Slices, Special announcment, Uncategorized, Writing, Writing Competition with tags AHWA, book depository, books, collections etc, Competition, dark prints, fiction, horror, horror anthology, horror literature, horror news, literature, novels, publications, short stories. You can follow any responses to this entry through the RSS 2.0 feed. Both comments and pings are currently closed.